When Facebook added its timeline cover image, it was likely the first time users didn’t revolt against a Facebook change; it gave the flexibility to truly customize one’s profile page and a lot of creative folks have taken full advantage of that opportunity. 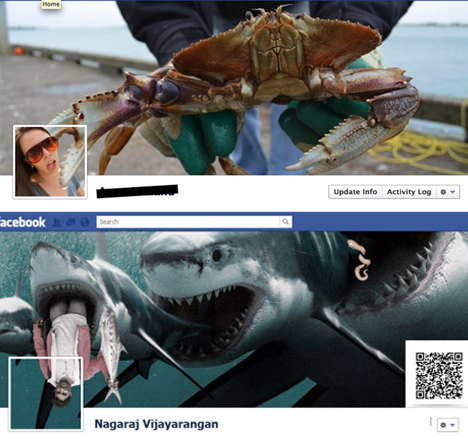 Nothing adds a little energy to a profile like a bit of danger. With clever manipulation and Photoshop work, the small box that usually houses a person’s face can become an epic life or death struggle. Whether it’s running from a lurching Tyrannosaurus Rex, battling a giant clone, or fighting off a terrifying dragon… these profile owners can rest assured they have risen in the esteem of their friends if only because they have portrayed themselves in such an awesome light. Classic videogames are the door to the geek soul, so it’s fitting that the more creative ones have put together excellent homages to their old school favorites. 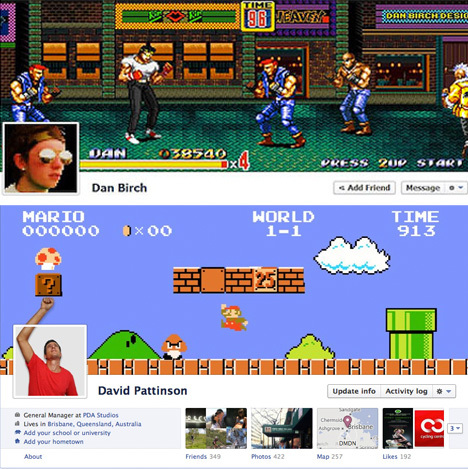 Dan has entered Streets of Rage as a streetwise brawler, while David has settled on an all time favorite: Super Mario Bros. Power up! 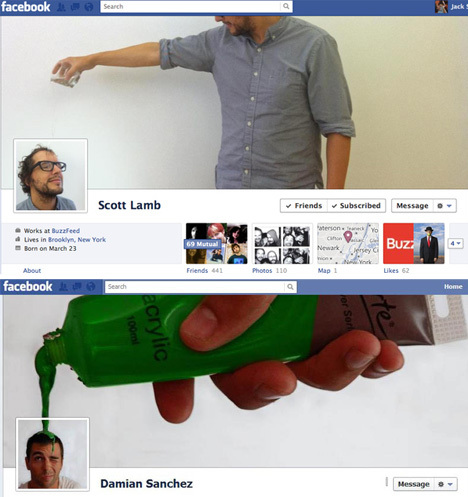 There is something very meta about a timeline cover photo in which the profile owner is pouring something on their own head, and while the subject matter is a bit odd, it’s definitely executed well in the above examples. 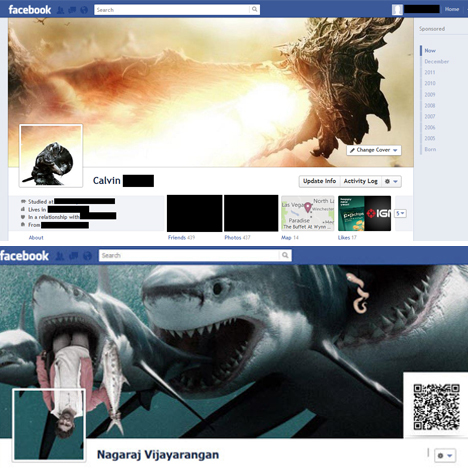 There are several ways to react to cover photos that show surveillance equipment narrowing down on the profile owner’s face: They can be seen as a comment on social media and the death of privacy, or they can be a tech-minded individual showing off their love for technology in a creative way. 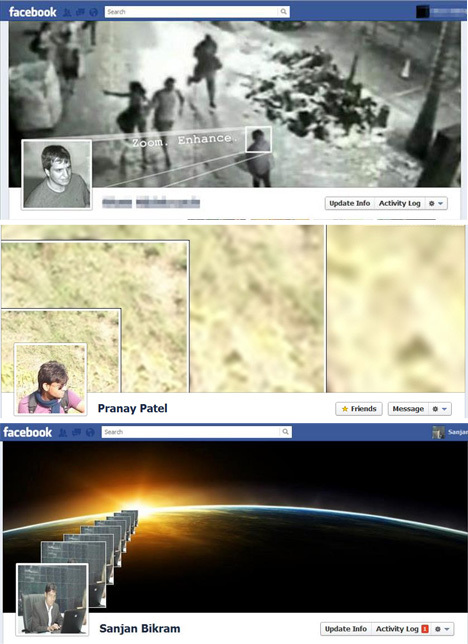 The top images are great examples of the zoom / enhance overwhelming surveillance found in spy thrillers. The bottom example is just plain fun, and likely the most epic use of a “man at a desk” thumbnail ever created. It’s true… animals attack. In these creative examples this is especially true. It would be interesting to know which way most people would rather go; smushed by a giant crab claw, or consumed by a giant shark? Can’t get enough of these? 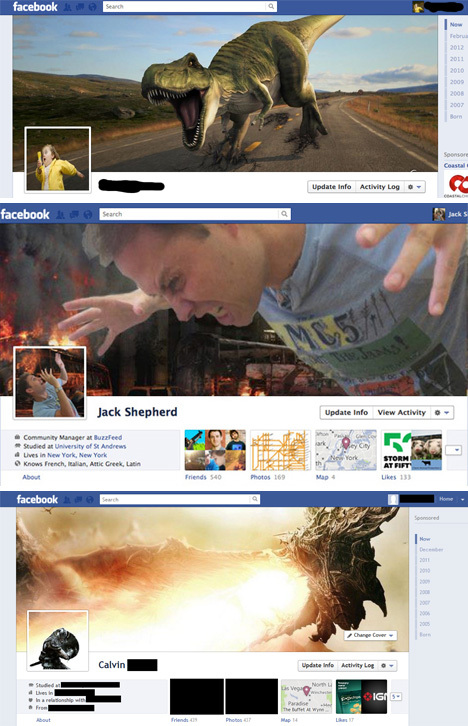 Check out more of the best, with 24 Poke-worthy Facebook Timeline Covers.